We have a brand new instrument rated pilot! Congratulations to Pablo Vasquez who earned his instrument rating in N54102 (Cessna 172P) after flying with CFI Sergey Sinyachkin. Examiner Sherry Diamond was duly impressed and signed off on Pablo’s instrument ticket. Well done Pablo and Sergey. Congratulations to Nick Collison who earned his Private Pilot Certificate with Examiner Sherry Diamond. Well done Nick and his CFI Rimas Viselga!! 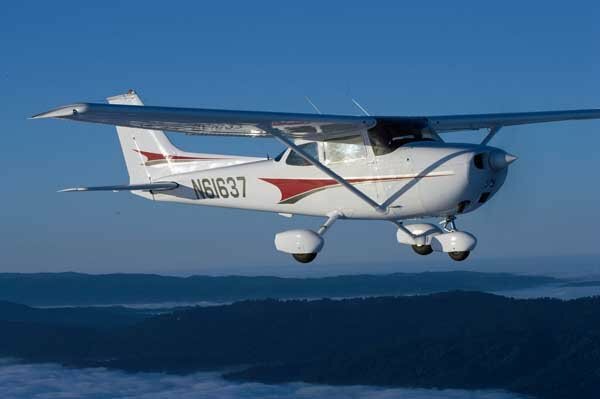 We recently did a number of improvements to N61637, our 1975 Cessna 172M. The most immediately noticeable to pilots is the installation of an avionics master switch. This may sound a simple thing, but it is not. To do it, the electric bus had to be split in two and all avionics connected to the second one, behind the new switch. Many hours of work, hanging upside down under the panel, was needed. Pilots now just need to turn the avionics master on and off, it is no longer necessary or even recomended to turn each radio on and off separately. Please remember, NEVER turn the avionics master on before the engine is started, and ALWAYS turn it off before the engine is shut down! See also the article on alternator problems. In addition to the avionic work, we took the opportunity to rebuild the nosewheel strut assembly and also to install a new flap motor. A big “Thank you” to Victory Aero for doing the work so quickly. Congratulations to Matthew Lai for passing his Private Pilot checkride with Examiner Sherry Diamond. Way to go Matthew and his CFIs Erik Schmidt and Rich Digrazzi.